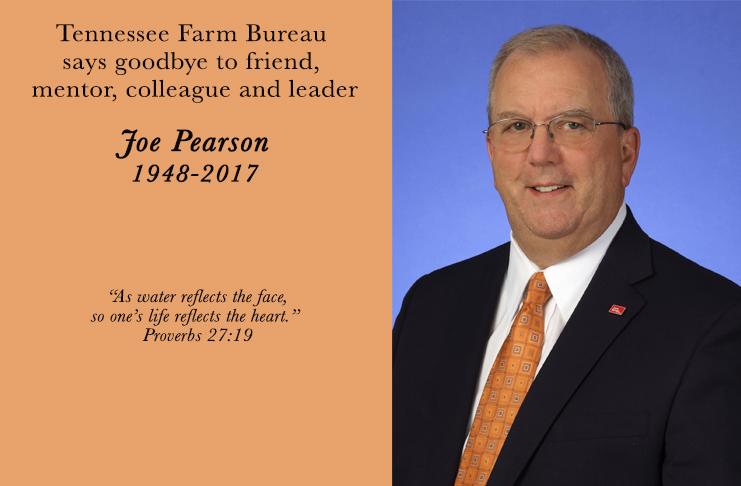 Tennessee Farm Bureau Federation is deeply saddened by the passing of Chief Administrative Officer Joe Pearson, who died Wednesday, August 30, 2017 at Vanderbilt University Medical Center. 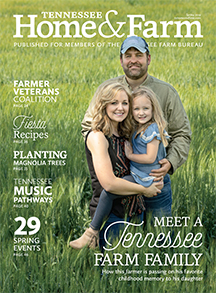 After serving his country in the army, Joe began work for Tennessee Farm Bureau as an insurance agent for Hawkins County Farm Bureau. 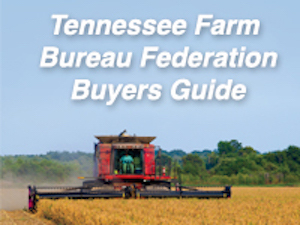 He later became a regional field service director, transitioned to director of commodity activities in 1988, and was appointed chief administrative officer in 2011. He tirelessly served our organization for forty-one years, and his untimely illness and death deeply affected the entire company. Joe lived a life of Christian testimony and made a positive impact on everyone he came in contact with. Please keep Joe’s wife Terry, daughters Jennifer and Jessica, grandson Joe and all his family in your thoughts as they go through this difficult time. A memorial service will be held to celebrate Joe’s life Sunday, September 3 at 3:00 p.m. at Columbia First United Methodist Church with Rev. Chip Hunter officiating. 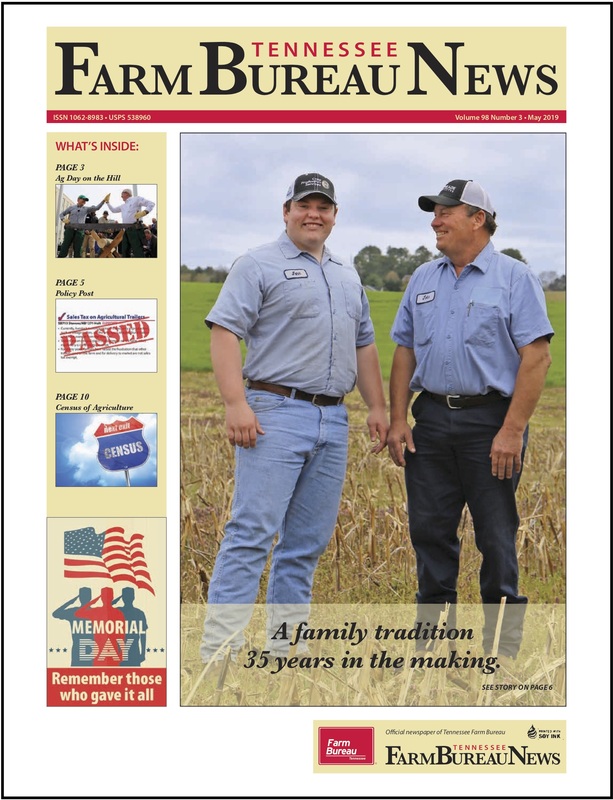 A visitation will be held on Saturday from 4:00 – 8:00 p.m. at Heritage Funeral Home and again on Sunday from 2:00 – 3:00 p.m. in the Atrium at the church. Heritage Funeral Home is assisting the family with arrangements.